You found the perfect person to spend your life with. You picked out the ideal engagement ring. Now comes the fun part – the proposal. 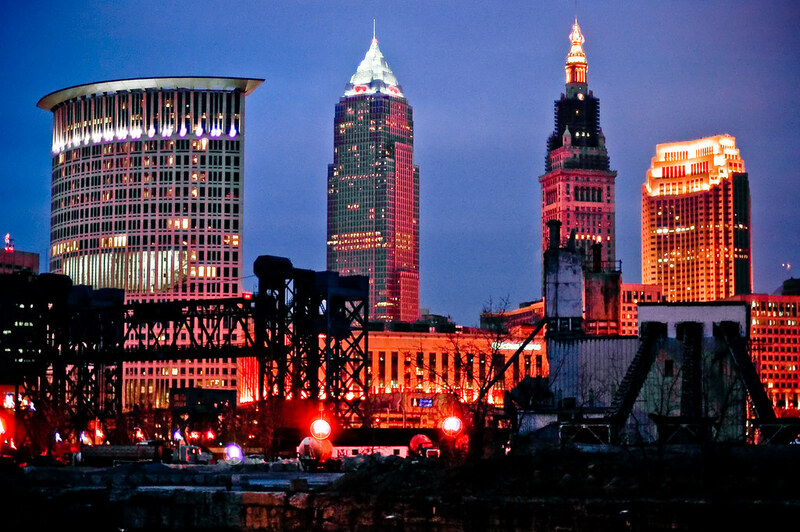 Cleveland has a number of beautiful and romantic spots for your special night, whether your ideal is a restaurant or in the outdoors. We have found the five most romantic spots to propose, with a bonus sixth idea that will only be considered romantic in certain relationships. 1. Viaduct Park. Viaduct Park is on Cleveland’s far east side in the city of Bedford, and gives you the ideal setting for a romantic proposal with a beautiful waterfall, a bubbling brook, and a stone bridge. Your bride-to-be is sure to be dazzled by the scenery when you pop the question. 2. Sans Souci. This award-winning Mediterranean restaurant is located on Cleveland’s historic Public Square in the Renaissance Hotel. Executive Chef Brett Montgomery is always creating delicious new dishes to pair with the stunning environment within the restaurant. Customers are taken to Southern Europe with the murals and frescos inside, and create the perfect romantic atmosphere for a proposal. 3. The City of Cleveland Greenhouse. Also known as the Rockefeller Park Greenhouse, the greenhouse is a little-known treasure trove of beauty in the middle of the city, and will serve as a gorgeous backdrop to the most important day of your life. Wonderfully landscaped gardens adorn the outside with a Japanese garden and a talking garden honoring Helen Keller. The abundance and variety of seasonal plants astound the senses, as does the excess oxygen created by the plants. As a bonus, the greenhouse is open to the public at no cost, and is often relatively quiet. 4. Edgewater Beach. This location gives you breathtaking views of the Cleveland skyline and Lake Erie, and as such is the ideal location for a romantic beach proposal. For maximum effect, we would suggest planning your special moment during dusk as the sun falls into the lake and reflects its colors off the water. An equally beautiful time is at night as the stars accent the city skyline. 5. Chez Francois. In the small lakeside town of Vermillion, Chez Francois provides an amazing backdrop with patio views of the lake and a candlelit dining room. This upscale French restaurant pairs soft lighting and a romantic atmosphere with seasonal delicacies ranging from sea scallops and lobster raviolis to mushroom risotto and truffles. And desserts must not be overlooked either, with delicious options like an almond Florentine cookie or chocolate truffles. And now for the bonus option, an opportunity that will only be considered romantic if your fiancé is a sports fan and you are already certain she will say yes. A truly unforgettable proposal can happen at any of the professional sports arenas – Quickens Loans Arena, Cleveland Browns Stadium, or Progressive Field. But please remember, if she’s not a sports fan then this is not a winning move. If you are still looking for an engagement ring, let IMG Jewelers help you select the perfect ring for your special day. You can contact us or visit our Lyndhurst showroom today.